The bottle tasted today dates back a few years, it is not in regular production anymore. The one liter bottle makes us think that it might was a regular edition for the Travel Retail. The bottle can still be found at some online retailers, at a reasonable price. Nose: spices, smoked paprika and saffron appear immediately, peat is subdued. Yellow fruit, pear, then orange jam, candied fruits and vanilla. Cocoa beans, espresso and bitter chocolate. Palate: remarkable spiciness, paprika and black pepper. Oily and compact. Yellow fruit, banana and pear, then light peat and sweet wood notes. Finish: medium. Medium-high in intensity. Spices, wood, peat, vanilla and yellow fruit. Overall, the intensity is perhaps a bit excessive on the palate. 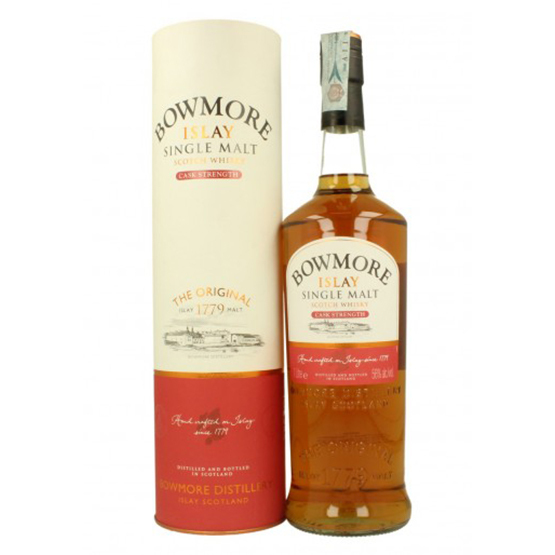 For the rest, a Bowmore that differs little from other recent releases, but which makes the most out of strong and well balanced notes. We suggest that you might try it with a few drops of water.